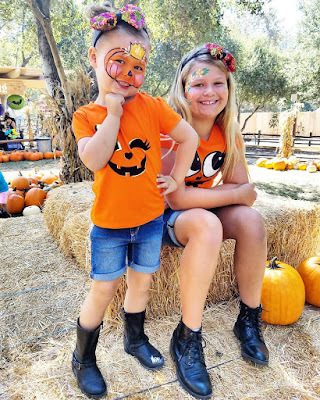 These pumpkin cuties had a blast at the Irvine Park Railroad Pumpkin Patch this past weekend. I love this time of year with all the hay bales, pumpkins and fun Halloween decor. It's so festive and fun and reminds me of everything I loved growing up.